You can bring home the Apple Mac Mini desktop computer and take full advantage of all that technology has to offer. Powered by a 2.0 GHz Intel Core 2 Duo processor, this Apple PC lets you work at a consistently speedy pace. 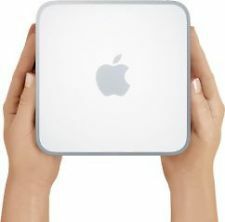 Stylishly designed, this Apple desktop computer compliments the contemporary interiors of your room. 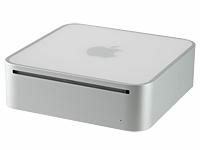 Now, you can download that action flick and hip hop music without bothering about storage space, as this Apple PC has a good hard drive capacity. 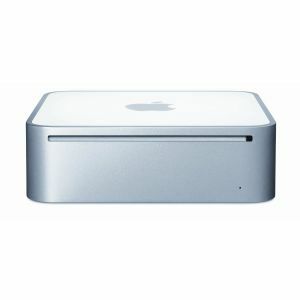 You can also send music and videos wirelessly from this Apple desktop computer to your mobile phone, as it is Bluetooth enabled. Virtual characters in games will not lag or appear blurry as this Apple Mac Mini desktop computer is fitted with an Nvidia GeForce 9400M graphics chip.